Ships today if you order in the next 11 hours 47 minutes. 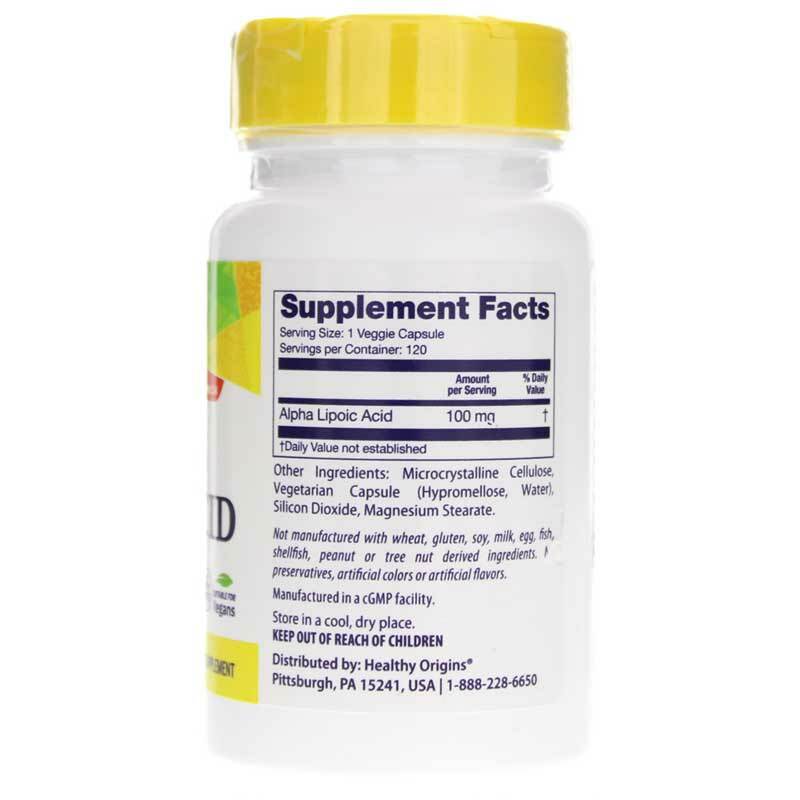 Alpha-lipoic acid (commonly known as ALA) is naturally produced by your body and is found in every one of your cells. It provides powerful antioxidant properties to help neutralize harmful free radicals and keep your cells protected, and also plays a key role in converting food to healthy energy. Healthy Origins Alpha Lipoic Acid is a powerful antioxidant supplement that provides 100mg of ALA in every capsule to help enhance your energy and your overall health. 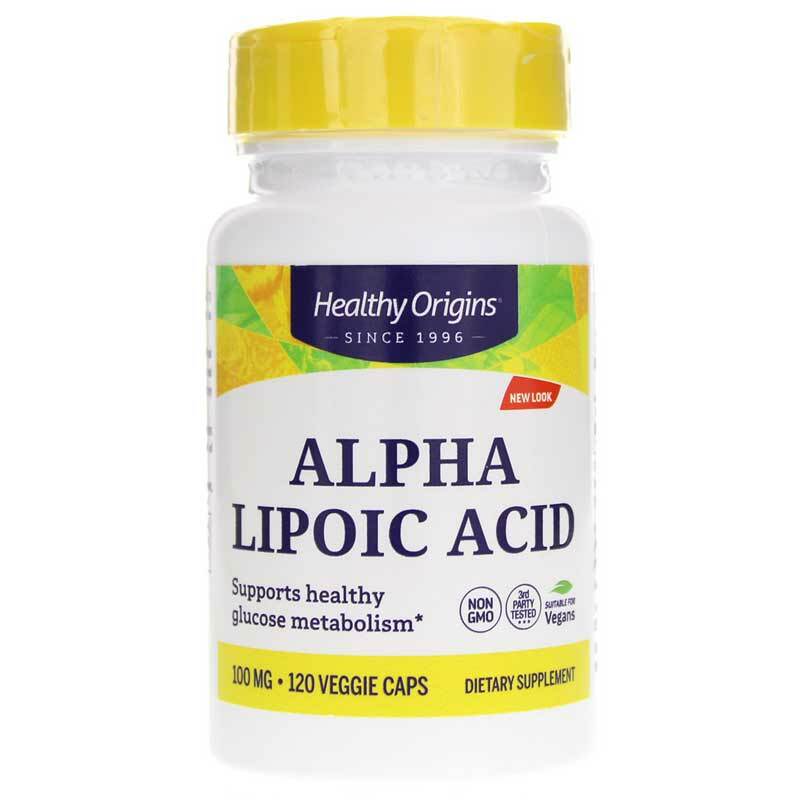 Alpha Lipoic Acid from Healthy origins comes in an easy-to-swallow capsule form that can be taken once or twice every day with a healthy meal or a glass of water to support optimal antioxidant protection. Give it a try today, and stay on the all-natural pathway toward optimal overall health and wellness. Order yours now! 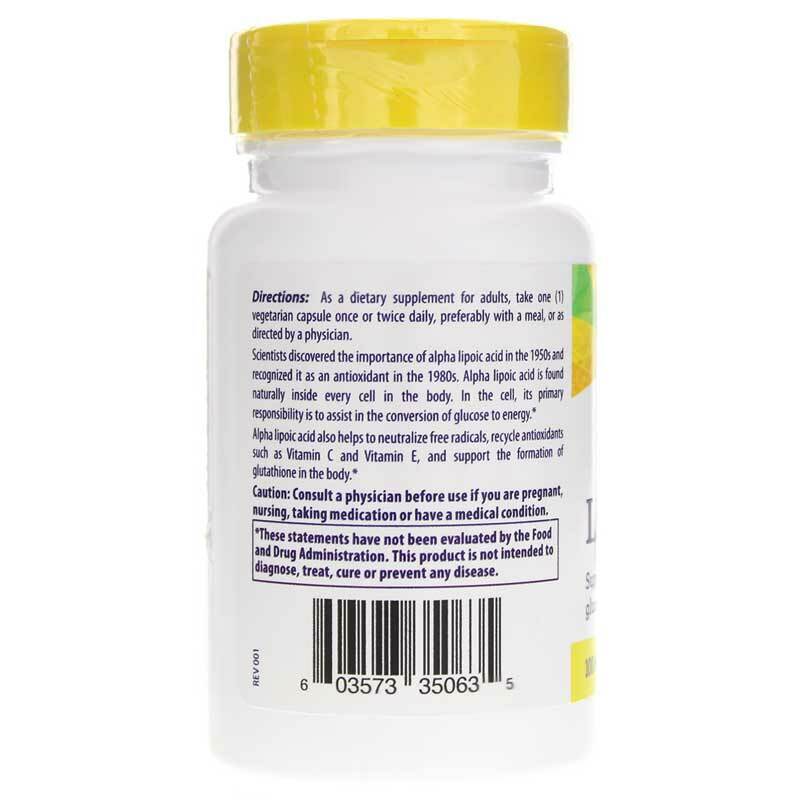 Other Ingredients: microcrystalline cellulose, gelatin (capsule), and vegetable magnesium stearate. Contains NO: GMOs, sugar, yeast, wheat, gluten, soy, barley, fish, shellfish, peanuts, egg, milk, preservatives, artificial flavors, or synthetic colors. Adults: As a dietary supplement for adults, take one (1) capsule once or twice daily with a meal, or as directed by a physician.